is thare anyway to disable the round time limit? If you are asking this for BF4, no it's not possible. 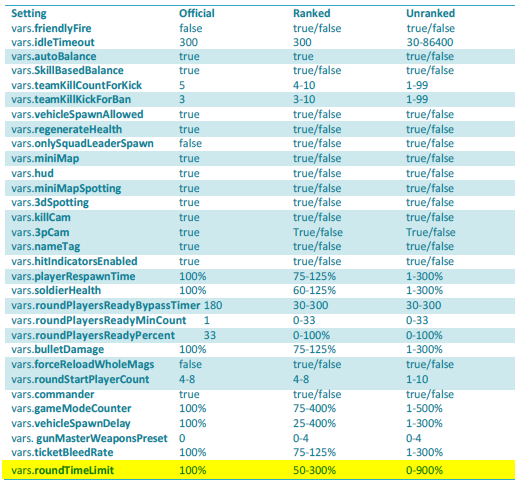 Although, i can change vars.gameModeCounter to 500 without any errors given. Also saves it in startup.txt. I dont know maybe varies from GSP to GSP? Are you sure? This is what happens on a ranked server.